Obituary for Frank Wallner | Kostanski Funeral Home, Inc.
Greenfield----Frank J. Wallner, 90, of Pickett Lane died Monday 5-14-18 at home. He was born in Greenfield on November 10, 1927 the son of Jacob and Elizabeth (Parody) Wallner. 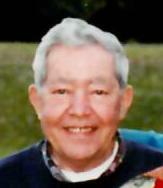 Frank attended local schools in Greenfield and was a graduate of Greenfield High School Class of 1945. He continued his education, earning an Associates Degree at the Milwaukee School of Engineering. World War II Victory Medal and was recognized as a Sharpshooter. After returning home he served as a member of the American Legion. He earned a Master Plumber License and served as President of Franklin County Master Plumber’s Association. He was owner and sole proprietor of J.J. Wallner & Son Plumbing and Heating as well as a Necchi Sewing machine outlet, which was a family run business. Frank enjoyed hunting, fishing and had a great appreciation for the outdoors. He loved spending time with his family and teaching his grandkids. Frank was a hardworking self-employed business owner, who was caring and generous to family and neighbors. He (Ted as he was affectionately known) was a Boy Scout Troop Leader and taught the outdoor code and served at functions. Besides his wife of sixty five years, Eleanore E. (Fealey) Wallner, Frank leaves his five children, a son Michael J. Wallner; a daughter Valerie J. Amor and her husband Mordechai; a son Richard F. and his wife Joyce Davis; a son Thomas F. and his wife Laurie: and a daughter Betty J. Scotti and her husband Daniel. There are twelve grandchildren, Conner and Jacob Scotti; Sara Mercer and her husband Damien; Eliza and Alex Davis Wallner; Rachel, Rebekah, Abigail, Daniel and Joshua Wallner; Aryeh and Isaac Amor; three great grandchildren, Juliana, Matthew and Mason; and many cousins. He was predeceased by his brother Richard Wallner in January 2018. Calling hours will be held Thursday evening from 4-7pm at the Kostanski Funeral Home, 220 Federal Street, Greenfield. There will be a visitation hour from 12pm-1pm on Friday afternoon, followed by a service at St. Paul’s Lutheran Church, 23 Long Ave, Greenfield. Burial will follow at Calvary Cemetery, 175 Wisdom Way, Greenfield with full military honors to be observed by the United States Army, assisted by the Northfield VFW Post #9874, firing detail. Sympathy message available at www.kostanskifuneralhome.com.